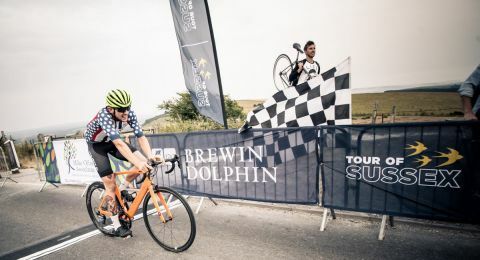 Three Sixty Sport are delighted to announce the Men’s Tour of Sussex stage race – now in its seventh year, and the second edition of the Women’s Tour of Sussex. All pictures are by Kathi @ klickchick photography. The 80 riders will be tackling one of the most infamous ascents on the annual Hillclimb calendar; Butts Lane. Usually run as a stand alone event in October by the owners of Eastbourne’s Cycling Festival, we are lucky to be using the same hill for Stage 1 of the Women’s race. This stage will decide the initial wearer of both the Yellow and Blue jerseys (awarded to the race leader and points leader), going into Stage 2 with it all to fight for. The gaps here between the top riders will be close, and we expect to see the course record broken! 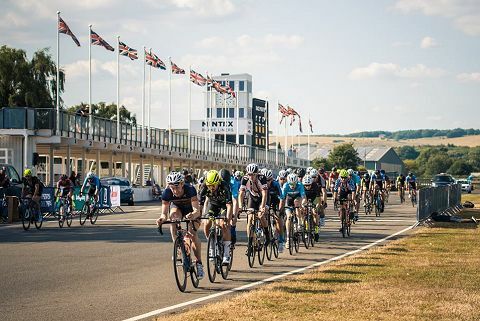 Based out of the famous Goodwood Motor Circuit, our second individual time trial over the testing 9 mile loop around Goodwood House will see our competitors trying to consolidate their positions in the overall race, whilst giving the time trial specialists a chance to gain some time on the climbers. Run on the same course used for our TTT two years ago, we know from experience that this circuit is very tough. Having had a few hours to rest and recuperate, the riders will be lining up for the first road stage of the event. Taking in the motor circuit, a flat, but windy place, this stage could favour the power house breakaway riders. The jersey wearers will have to be on guard; with spot prizes to both overall and points classification, this race could see the competition hot up somewhat. This stage is where the race will really start to come alive. The testing Ladies Mile circuit, with its hilly, rolling nature is seen as one of the toughest circuits in South East England. With a long drag, nasty hill and an epically fast descent, we really will see the race explode as the contenders line themselves up for the overall competition. Finishing halfway to Kings Standing, the final climb is likely to see fireworks as the riders try to gain time on their rivals. This day will almost certainly see the leader squeezed hard. Arguably set in one of the most beautiful areas in the South Downs National Park, this course is reputed to be one of the most difficult in the country. With it all to play for, we would expect the leaders to dominate the climb out of Eastbourne, with a view to splitting the race and catching any rivals out. With its fast descent and stretches of fast flowing roads, there is no time to relax. This should be the Queen Stage of the event; by the end, the winner of the race will be able to enjoy and savour that final climb before pulling on the winner’s yellow jersey. A new grand depart for 2019; we will be starting the Men’s Tour of Sussex in the seaside town of Seaford. This brings a great opportunity not just to watch, but also to participate! We will be allowing children/schools use of the circuit prior to main event, allowing youngsters the time to sample a race circuit and see what all the excitement is all about. Operating at the far East end of the Seafront – near the Martello tower, our 80 riders will be riding a simple drag strip style course. Sounds easy, until you see there are two 180 degree turns, making this stage all about being able to ride hard and fast, and handle your bike at speed in a big group. With all riders having to complete this stage to qualify for Stage 2, the competitors will need to keep their wits about them, in what promises to be a spectacle full of thrills and spills. There will be spot prizes for both time bonuses and points, giving the more powerful sprinters the opportunity to win not just the stage, but the whole race. The second stage will see the start of the real hostilities at this year’s Men’s Tour of Sussex; held on one of the toughest courses in the country; Beachy Head. With the beautiful backdrop of the South Downs National Park, and starting by the sea in Eastbourne – the sunshine capital of the UK, our riders will face a true test of their mettle. Climbing out of Eastbourne, the riders will have to work together. A team time trial is all about getting your team across the line, together, in the fastest time possible. The team time is taken on the third rider, so anyone hoping to be in with a chance of winning will need to be on form, and have the support of super fast team mates to help carry them. Racing on to the open headland and into the elements, this route is never easy. Hot sun is cruel and difficult, and it turns very bleak if the weather closes in, with cross winds playing a significant role in race tactics. Speeding through Birling Gap and onto the main climb, our protagonists will need to focus as they climb back up to Beachy Head for the second of two laps. ‘Team work makes the dream work!’ – this stage will undoubtedly cause a major shake-up in the overall title race. 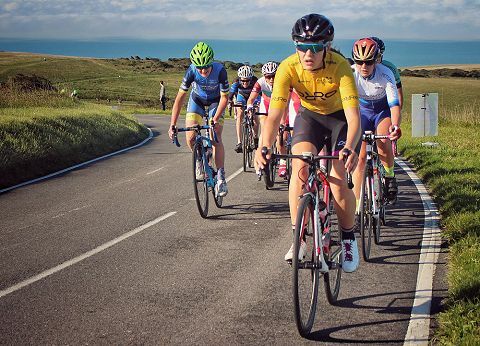 The riders will be tackling one of the most famous ascents in the UK – Ditchling Beacon, and with thanks to Lewes District Council, we will again be racing on a closed road. Unlike previous years, having had two tough stages already, our riders will start this stage a little more fatigued than usual. We will get to see the Yellow and Blue jerseys racing to the top, trying hard to ward off their nearest competitors and keep their leads going into the final stages. Starting from the edge of Ditchling Village, and finishing at the top of the Beacon, Stage Three will test the legs of even the hardiest rider. The question is, how many will break the climb’s magic 4-minute barrier? This will be one of the best stages for the spectators, as each rider will make their way alone to the summit, suffering all the way in their quest for yellow. We are back at Ladies Mile for this stage of the Men’s Tour of Sussex, and as we said earlier, this has to be one of the most difficult races in the local area. With a testing drag, little climb and fast descent, there is never a time to rest. With our riders having already competed for two days, this stage could be full of fireworks. The likely scenario is a strategic stand-off, with the overall contenders watching each other’s every move, with a view to the final ascent and the next day’s final stage on the nearby ‘Wall’. Staying in the wonderful Ashdown Forest for the final stage of the Men’s Tour of Sussex, we will see the riders tackle the infamous Kidds Hill, otherwise known locally as ‘The Wall’. With several laps of this testing circuit – with the top 10 riders likely to still be quite close, this stage offers all the ingredients for an exciting race. The climb is difficult, the descent into Hartfield epic, and with a little anticipated jaunt up Jibb Jacks Hill, only the cream of the race will be in contention on the last lap. Featured during 2018 as the penultimate stage, and run in furnace-like conditions, Kidds Hill decided the race last year. This stage will be a fitting end to the 2019 Tour of Sussex events. Why not come out and watch a stage or two, cheer our intrepid competitors on, or catch the action on CyclingHub or Latest TV! This year’s partners With thanks to our event partners: Orro Bikes, Leigh Day, Mike Oliver Associates, Brewin Dolphin, Lezyne GPS and iLB Smart Lights. Further thanks to Milltag, Project 51 Race Timing, Velopace, Goodwood Motor Circuit, Lewes District Council, Seaford Town Council and Eastbourne Council.